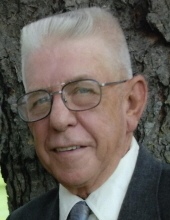 Dale Maynard, 77, of Malden, Missouri and formerly of Boone, died Saturday, July 14, 2018 at the Missouri Baptist Medical Center in St. Louis, Missouri. A Visitation will be held on Thursday, July 19, 2018 from 10:00 a.m. to 1:00 p.m. at the Schroeder-Reimers Memorial Chapel at Sixth and Marshall. Following the Visitation, a Graveside Service will be held in the Linwood Park Cemetery. Dale Eugene Maynard, was born in Boone, Iowa on August 14, 1940, the son of Earl and Vivian (Martin) Maynard. On March 8, 1957, Dale married Mary Jane Mishler in Albert Lea, Minnesota. In earlier years, Dale was employed with Bull Moose Tube Company, a manufacturer of steel tubing. He later was plant and operations manager for Circle D Pipe and Tube, and then, plant supervisor for National Steel Company. Dale was a member of Sunnyvale General Baptist Church in Malden, Missouri. He was preceded in death by his parents, a son, Jeffrey Wayne Maynard, and mother-in-law and father-in-law, Mary Jane and Marion Mishler. Dale is survived by his wife, Mary Jane of Malden, Missouri; two sons, Marion Maynard of Cleveland, Tennessee and Robert Maynard of New Haven, Missouri; two daughters Cynthia Ann Pattarozzi of Summerville, Georgia and Mary Kay Sherlin and husband, David of Bryant, Alabama; thirteen grandchildren, eight great grandchildren; brother, Glen Maynard of Ogden; sisters, Alberta Grabau of Boone and Shirley Riley of Perry; many nieces, nephews, cousins, and other relatives. To send flowers or a remembrance gift to the family of Dale Maynard, please visit our Tribute Store. "Email Address" would like to share the life celebration of Dale Maynard. Click on the "link" to go to share a favorite memory or leave a condolence message for the family.